Charleston, WV- At its September 21, 2016 meeting, The Greater Kanawha Valley Foundation (TGKVF) Board of Trustees approved the distribution of eighteen grants (18) totaling $864,570. Of that total, $614,570 will be disbursed over a one-year period and $250,000 will be disbursed over a five-year period. TGKVF focuses its discretionary grantmaking on building community wealth and fostering collaboration. The recently funded partnership between the Appalachian Reading Center and The Bridge of Mission WV illustrates the collaboration the Foundation champions. The partnership, which began in 2015, targets students in kinship and foster care by providing high-quality tutoring and reading remediation services in Clay County Schools. Within six months, the program has yielded impressive results as students, grades K-8, receive one-on-one, intensive tutoring. For the first time, many students are able to really understand how letters and sounds work together to form words. One student reported, “I actually want to try to read out loud. I never wanted to read out loud before.” Another student told her parent, “I don’t dread school anymore because I know I’ll be able to figure it out now.” While the students’ capabilities have increased, their attitudes toward learning and reading, and themselves, have also been transformed. Keys 4 Healthy Kids received a second year of funding to expand its KEY 2 a Healthy Start program, which provides edible gardens and outdoor natural learning environments for low-income child care centers in the Kanawha Valley. The program works to improve the nutrition and physical activity environment for children at child care centers. A total of ten child care centers (eight new and 2 returning) will receive services. Funding will support staffing and materials as well as construction of the gardens and natural learning environments. This grant will support “Try this! WV” for a second year; this project aims to knock WV off the worst health lists, by awarding community teams within TGKVF’s six-county region with mini-grants. Each grant-awarded team will also receive training, coaching, and technical assistance to implement a healthy lifestyle project in their communities. 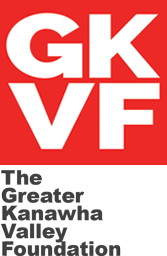 Funding will support staffing and at least 12 mini-grant awarded teams within TGKVF’s service area. The second year of collaboration between Children’s Therapy Clinic and Bright Futures Learning Services will continue to provide appropriate therapy services for children with disabilities who have insufficient insurance coverage and/or income. Bright Futures Learning Services will provide behavioral treatments to children with autism and related disorders. Funding will support staffing, collaborative workshops, and materials. Funds will support the creation of a website and digital home for the newly-formed statewide Adverse Childhood Experiences (ACES) Coalition. The ACES Coalition strives to mobilize child-abuse prevention work and foster collaboration amongst WV providers. The Coalition’s mission is to improve the health and wellbeing of all West Virginians by reducing the impact of adverse childhood experiences. Coalfield Development Corporation’s initiative, Refresh Appalachia, will receive a grant to continue its second year of regional economic and workforce development work in Lincoln County.  By working with Unlimited Future and Lincoln County Schools, the project aims to strengthen local food systems, support novice farmers, increase access to healthy food, and aggregate and distribute produce to meet regional markets. Funding will support staffing, training, and building materials. The Appalachian Reading Center and The Bridge of Mission WV will partner with Clay County Schools to provide a second year of outreach in Clay County. The coalition will continue to identify and tutor dyslexic and reading deficient students within foster or kinship care; services will be provided at no charge to participants. Funds will continue to support training and stipends for tutors, materials for students and families, and scholarships for regional youth to attend the Appalachian Reading Center. In its second year of collaboration with TEAM for WV Children’s Fostering Futures program and other partners, Mission WV’s project “The Bridge” will continue to serve foster children and their caretakers in TGKVF’s six-county region through mentorship, advocacy, and support services. Funding will assist with academic support, staffing and mentoring, self-sufficiency coaching, and enrichment activities for foster youth. East End Family Resource Center will partner for the second year with The Education Alliance and Kanawha County Schools to provide the AmeriCorps on the Frontline Dropout Prevention program; the Bob Burdette Center and PRO-Kids will also join the collaboration in 2016. The project’s target population are at-risk students in grades 3-5 at Piedmont Elementary, Mary C. Snow Elementary, and Edgewood Elementary. Funding will help support six AmeriCorps mentors, staff, volunteer recruitment and community engagement, and STEAM education materials. The Kanawha Valley Coding Club, a pilot project, will serve Capital High, Stonewall Middle, John Adams Middle, George Washington High, Horace Mann Middle, South Charleston Middle, and South Charleston High Schools. Students will be trained via an online tool that offers courses in coding, web design, and application building. In-person services will be offered after school and throughout the summer. Funding will be used to offer student scholarships, materials, and a stipend for an IT professional. Funding will support womanSong, a women’s community-based chorus for sopranos and altos. Support will assist the choir with the production of its 2016-17 season, including concerts in December of 2016 and Spring of 2017. Manna Meal, a soup kitchen providing meals for the homeless and disadvantaged, will collaborate for a second year with Covenant House, a basic needs assistance agency, and Roark Sullivan Lifeway Center, a homeless shelter for men. This partnership works to coordinate services and improve the quality of Kanawha County and surrounding area residents by providing food and shelter to those in need. Recovery Point of Charleston, a long-term, residential recovery program for women suffering from addiction, will be housed on Charleston’s West Side. Funding will be used to support the basic needs of homeless women seeking recovery. Kanawha Valley Fellowship Home, a transitional addiction recovery home, provides housing and addiction recovery services to men seeking assistance with substance abuse. Funding will provide food and shelter for program participants while they focus on becoming sober, productive, and healthy. Funding will assist the Salvation Army to provide emergency shelter, case management, and other supportive services for the flood victims of Clay and Kanawha counties. Funding will assist Tyler Mountain Cross Lanes Community Services, an emergency service agency, to support low-income households in Cross Lanes and the surrounding area with basic needs assistance including food, shelter, utility terminations, and a weekend snack program for youth. Bob Burdette Center and the East End Family Resource Center will be offering full day programming to students from Mary C. Snow Elementary during school intercession breaks on the West Side of Charleston. 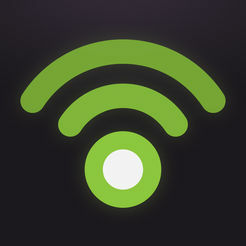 The intercession programing will focus on STREAM (Science, Technology, Reading, Engineering, Arts, and Math) education. At the end of each STREAM Break, the sites will host a STREAM Family Night. Funding will support salaries for teachers and staff and supplies for STREAM activities. Keep Your Faith Corporation seeks to expand its school garden efforts based at Mary C. Snow Elementary to all of its urban producers, including the community garden, SAGE, and “Produce Pedalers.” Through this grant, a permanent location for the West Side Farmers Market will be developed and children at Mary C. Snow will receive tokens to purchase produce that will be sold at the school. Funding will support an AmeriCorps VISTA, supplies for gardens, and the market development. The principal and Title I teachers at Mary C. Snow Elementary will be developing an intensive academic afterschool tutoring program to provide support for up to 90 of the lowest performing students in grades 3-5. The primary focus will be in the areas of math and reading; tutoring will supplement the available programs that are offered during the regular school day. The implementation of this program will provide highly individualized instruction and support in a small, personalized setting. Funding will support staff, materials, transportation expenses, professional development, and evaluation. The Clay Center has launched its revitalization and remodeling program, which will include a new interactive art sculpture and interactive art galleries. The downstairs space, which is currently called STEAMworks, will house a small city designed for kids. The city will have math, science and art-related features where children may explore various careers. Through this renovation, students will be in charge of their own learning, but teachers may adapt the activities to fit into the classroom. To support this revitalization project, a $250,000 grant will be disbursed over a five-year period (2017-2021).